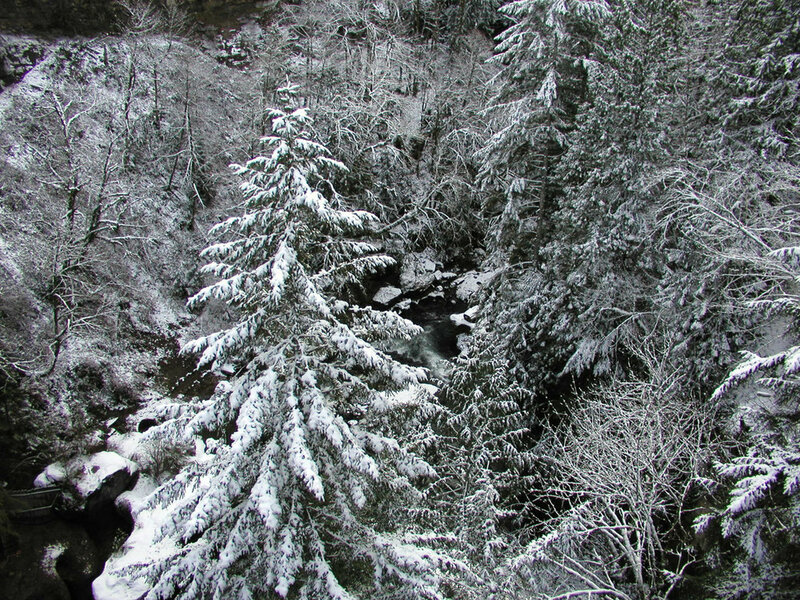 Snow in the Green River Gorge. Snow has a magical way of transforming the stark bareness of a winter landscape. A white blanket of snow covering the ground hides the decaying leaves and limp brown grass. 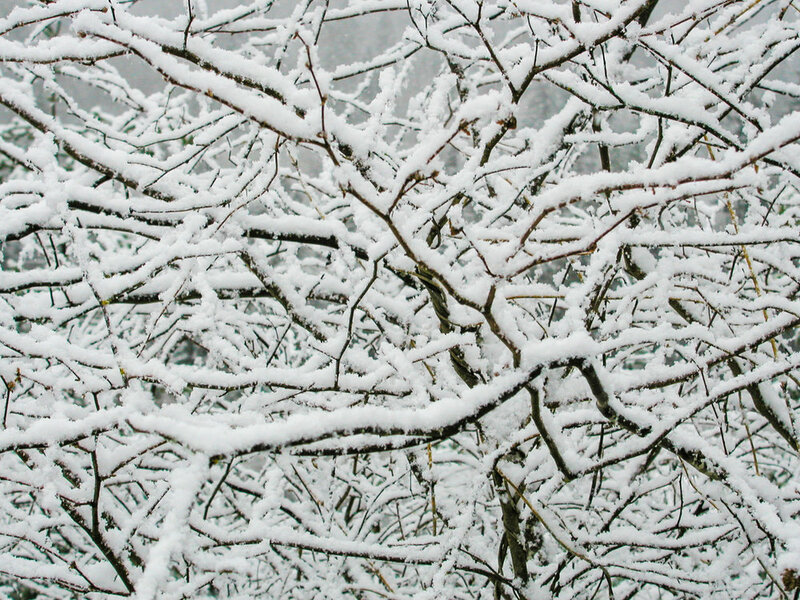 The bare branches of trees dramatically contrast against the white. Red berries hidden in dark shadows of winter bushes pop as the shadows are now brightened by snow. The forest canopy is renewed below dark snow laden clouds. Quiet lingers between crunching sweeps of footsteps through the snow. The magic is that a visit to an old familiar haunt becomes a new adventure and an exploration of a foreign landscape that just the day before was so well known as to seem common place and routine. The Gorge is one of those places that is worth a visit after the passing of the northern winds of winter. Cold freezing temperatures transform the drip, drip of smaller springs along a cliff wall at Icy creek into layers of icycles and icy lace encrusted moss. Currents of river and stream flow like dark inky strands between snow covered rocks and the white lined shoreline. At the Green River Gorge resort a look over the one lane bridge presents new prominent features outlined in white, edged by snow, and encrusted in ice. The falls, the giant rock on river left, the dark cliff wall behind the forest. The dark wet sandstone becomes a white path along the river’s edge. 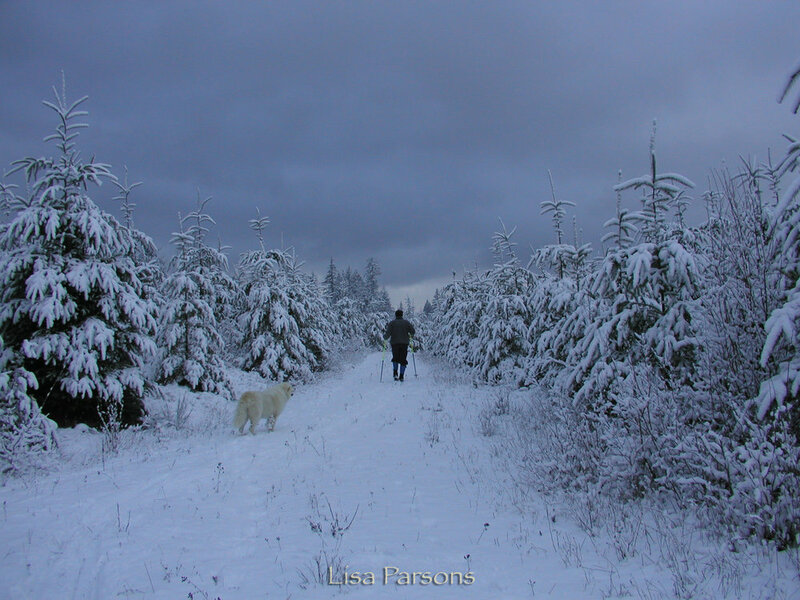 Check out the photos (above) from previous winters in the Gorge. Get ready for the next snow storm by planning your route for adventure in the Green River Gorge. Here is to great adventures in 2018!